A story of what might have been. Idaho looked an outstanding candidate for Ladbrokes St Leger glory in 2016 and was sent off the 4-6 favourite. All was going to plan until about half a mile from home when the horse stumbled badly and unshipped Seamie Heffernan. Classic glory gone in an instant. Fortunately, the horse was completely unscathed but Heffernan spent the rest of the afternoon in hospital with a bloodied nose and sore head. candidate after finishing third in the Investec Derby and then second in the Irish equivalent. He further enhanced his Doncaster claims when landing the Great Voltigeur Stakes at York on his latest start. Before his Classic encounters, Idaho had been placed in two Group 3 races at Leopardstown in the spring, including behind Harzand on the first occasion. On his final start in 2016 he started favourite for the $1million Canadian International at Woodbine but never figured. It was a similar story on his return in 2017 behind Highland Reel, his stablemate, in the Investec Coronation Cup at Epsom, but he was right back on song when landing the Group 2 Hardwicke Stakes at Royal Ascot. On his penultimate start, he was placed in a Group 1 race for a third time, finishing third to Enable in the King George VI and Queen Elizabeth Stakes at Ascot. 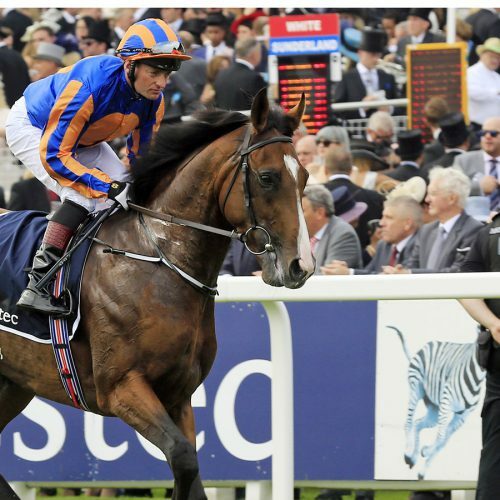 However, he then ran below-par in America and failed to make an impact when forming part of a five-strong team for Aidan O’Brien in the Qatar Prix de l’Arc de Triomphe – and also on his return in 2018 at Meydan on Dubai World Cup night before he got back to winning ways in fluent style in the Ormonde Stakes at Chester. He underachieved on his past two starts – finishing fourth of sixth in the Investec Coronation Cup at Epsom and then last of five in the Prince of Wales’s Stakes – but then ran creditably upped to two miles, finishing third in the Qatar Goodwood Cup and Weatherbys Hamilton Lonsdale Cup. On both occasions, he finished about six lengths behind Stradivarius and, in light of those efforts, his fifth in the Irish St Leger on his latest start was a bit disappointing.